The pungency of fresh horseradish fades within 1 to 2 months, even when refrigerated. Therefore, make only small quantities at a time. 2. Wash horseradish roots thoroughly and peel off brown outer skin. The peeled roots may be grated in a food processor or cut into small cubes and put through a food grinder. 3. Combine ingredients and fill into sterile jars, leaving 1/4-inch headspace. 4. 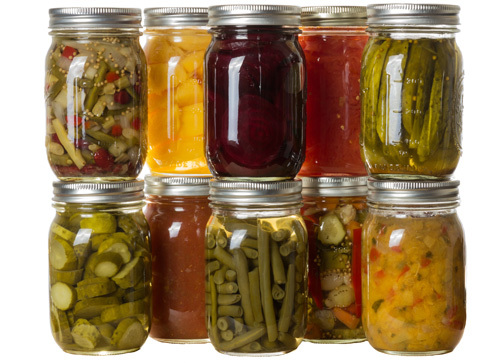 Seal jars tightly and store in a refrigerator.